Rosemary (Rose) is a Chief Researcher at NZCER. She holds a PhD from Deakin University, Melbourne. Rose maintains a strong interest in the complex space at the intersection of curriculum and assessment practices. She was actively involved in the development of both the New Zealand Curriculum (NZC) and the National Certificates of Educational Achievement (NCEA assessment system). Over the 18 years she has been at NZCER she has led national research projects related to both curriculum and assessment innovation in New Zealand. Rose recently led a review of future-focused assessment literature to prepare the report Trends in assessment for the Ministry of Education. Earlier in 2018 she led a programme of work centred on the use of a ‘capabilities’ approach to curriculum development, summarised here. She also led an overview of Competencies in NZC. Her concern with maintaining the fidelity of the curriculum in high-stakes assessments is reflected in her most recent book NCEA in Context, co-authored with two colleagues from Victoria University of Wellington. The three authors have also published an article exploring the effect of high-stakes assessment on the representation of epistemic knowledge in the enacted curriculum. Most recently Rose has continued her exploration of the senior secondary curriculum by co-publishing an article that compares the Israeli and New Zealand approaches to curriculum and assessment. Other NZCER projects Rose is supporting include: an exploration of curriculum integration; NMSSA (science and key competencies studies); and the National Survey programme (mainly secondary but also curriculum-related aspects of the primary surveys). Rose has also supported the development of the following tools and resources: Junior Science: Thinking with Evidence; Remixing the Key Competencies; Remixing NCEA achievement standards; and the Science Capabilities Planning Deck. A similar Rich Tasks design deck is in the planning stages. Rose has supported a number of Teacher-Led Innovation Fund projects. Some are now completed but several are still current. Some TLIF projects have foregrounded curriculum innovation (Alfriston College; Howick College; Kaikorai Valley High School: Urban Farm). Others have a focus on pedagogical innovation (Kaikorai Valley High School/Queens High School; Paraparaumu College; Mana College; Stonefields School). In practice pedagogy and curriculum are two faces of one coin, so this grouping is a matter of emphasis. 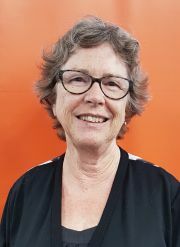 In 2019 Rose was made a Member of the New Zealand Order of Merit for services to science education.